Create these edible stars filled with jam that the whole family can enjoy. Cream the butter, sugar and vanilla in a bowl. Add the egg and mix until combined. Add the flour gradually, mixing until you have a soft dough. Wrap the dough in plastic wrap and chill for 30 minutes. Remove the chilled dough from the fridge. Cut it in half and return one half to the fridge. Dust the bench with a little flour and roll out the remaining half to 5mm think. Use cookie cutter to cut out 20 stars. (this gives you 10 bases and 10 tops). Use a thimble or other small hole cutter to create holes in the centre of the 10 tops from the jam. Place the stars on the baking trays and bake for about 15-20 minutes or until golden brown. Remove and cool on a wire rack. Repeat with the remaining dough until you have roughly 40 stars. The number will depend on how big you cutter is. Once cooled, place a small dollop of jam in the centre of the base cookie, dusting the top with icing sugar and place over the bases. 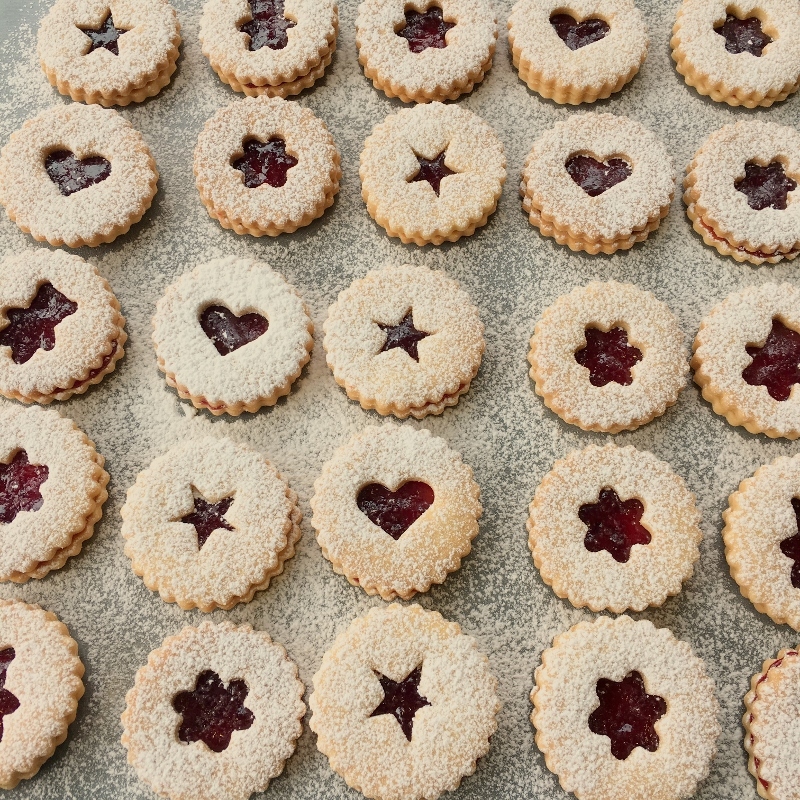 I use a linzer cookie cutter to make the tops. It cuts both the outside and inside shapes simultaneously and saves a lot of time. Every oven is different, so use the cooking temperatures and times as a guide only and adjust if required. For example my oven at home seems to be extra hot! I always use a lower temperature.